T. Jane Leach, age 65, of 9489 Lakeview Road N.E., Mineral City, Ohio, died Tuesday afternoon, May 15, 2018 in the Union Hospital emergency room at Dover after becoming ill in her home. She was born May 22, 1952 in Trenton, Michigan and was the daughter of the late Cecil James and Thelma Jividen, and was raised by her foster parents, Eugene and the late Betty Hydrick in Kensington, Ohio. In addition to her parents and Betty Hydrick, she was preceded in death by two brothers, James and Cecil Jividen. 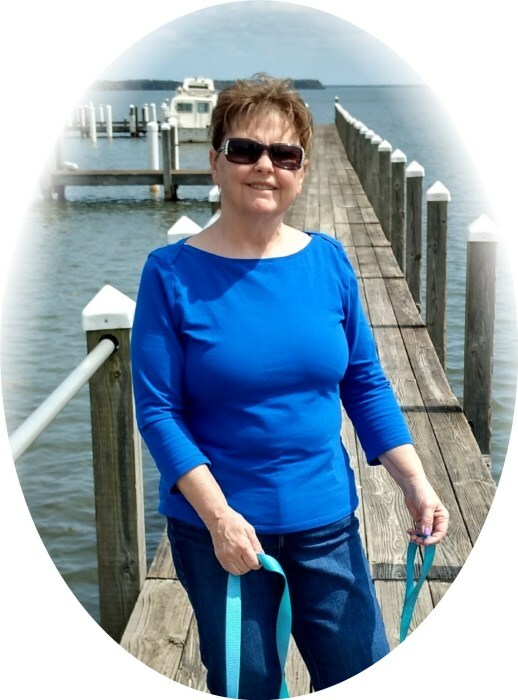 Her career included being a receptionist for Dr. Adie Tamboli, MD in Carrollton and New Philadelphia as well as a receptionist for Sears and Schoenbrunn Landscaping in Dover. Jane was fond of travel. She took pleasure in attending festivals of all types across the state and beyond, often traveling with her husband Tom in their RV. She enjoyed her camping trips and was most particularly fond of those places that she could view the "Big Sky" ... she loved to gaze at the stars, or a glorious full moon in the sky, or stand and contemplate a picturesque sunset. She often visited local flea markets so she could browse for some unique antiques or home decor. She adored shopping so that she could select special gifts for her grandchildren, who were a central priority in her life. Jane looked forward to her daily routine of feeding the deer behind her Atwood Lake area home. She was a loving wife, mother, grandmother and friend who always wore a bright smile on her face. She is survived by her husband Thomas T. Leach, whom she married November 17, 1973, and a daughter, Mrs. Tiffany J. (Rob) Sensel of Strasburg, OH, two grandchildren Bobbie and Jilly Sensel, both of Strasburg, a sister, Linda Huffman of Kensington, OH, a brother, Tim (Deanna) Hydrick of Hanoverton, OH, and her Beloved Dog, "Mopsey". Calling hours will be held Saturday, May 19, 2018, from 11:00 A.M. until 1:00 P.M. in the Baxter-Gardner Funeral Home at Sherrodsville. A graveside service will follow at 1:30 P.M. in the Sherrodsville Memorial Gardens with Mary Roark officiating, with interment to follow. Contributions in Jane's memory may be made to the Wounded Warrior Project, 301 Grant Street, Suite 900, Pittsburgh, Pennsylvania 15219. To leave an online condolence message please visit the funeral home website.